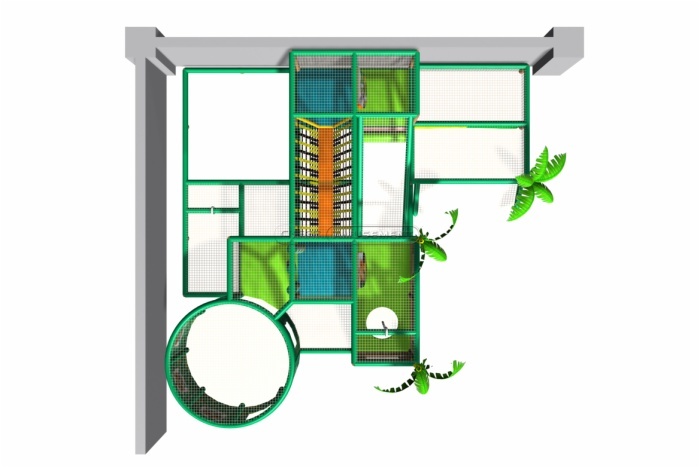 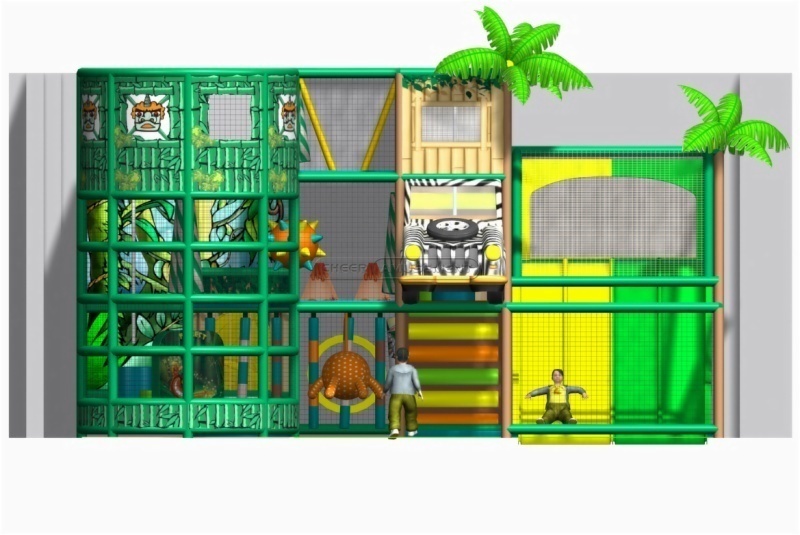 Components: Safety Net, Theming Decoration Panel, Punching Bag, T-Tube, Straight Tube With Window, Ball Pool, Tunnel 2400mm, Double Slide Long, Moon Walk, Wooden Fence, Ladder 2 Steps, Roller Run, Moon Bridge, Circular Water Bed, Soft Pads, Web Desk, Pyramid, Forest, Prism, Cubes, Hedge Roller. 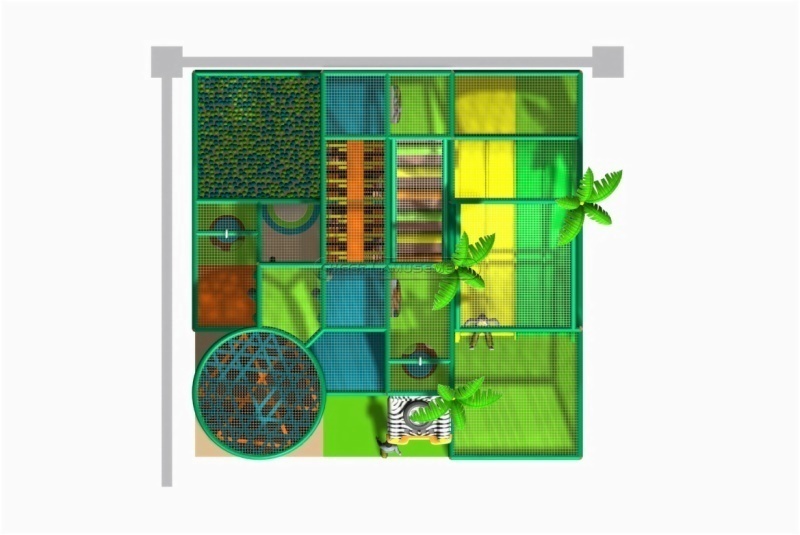 Material: Galvanized pipe, PVC foam, PE Netting, EVA mat (no smell) and etc. Components Safety Net, Theming Decoration Panel, Punching Bag, T-Tube, Straight Tube With Window, Ball Pool, Tunnel 2400mm, Double Slide Long, Moon Walk, Wooden Fence, Ladder 2 Steps, Roller Run, Moon Bridge, Circular Water Bed, Soft Pads, Web Desk, Pyramid, Forest, Prism, Cubes, Hedge Roller. This is a suitable for outdoor amusement area, about 127 square meters, the longest part of 17.32 meters, the width of 7.32 meters, the highest 4.2 meters. The general can be placed in the center of the playground. 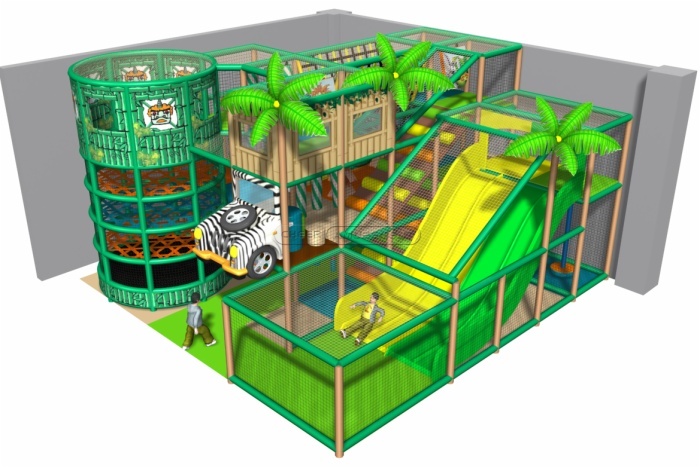 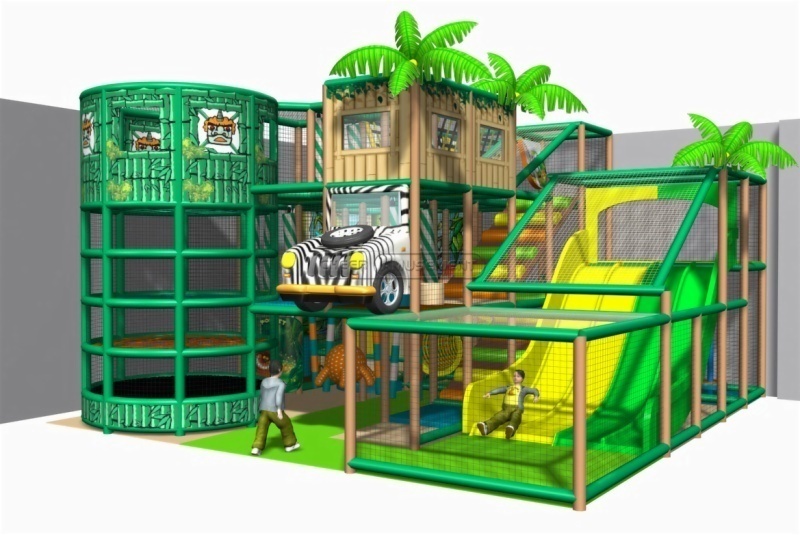 The amusement area contains rich entertainment equipment -Safety Net, Theming decoration panel, Punching Bag, T-Tube, Straight Tube with window, Ball Pool, Tunnel 2400mm, Double Slide Long, Moon Walk, Wooden fence, Ladder 2 Steps, Roller Run, Moon Bridge, Circular Water Bed, Soft Pads, Web Desk, Pyramid, Forest, Prism, Cubes, Hedge Roller, can satisfy 3-12 years old children climbed, jump, run, throw activities requirements. 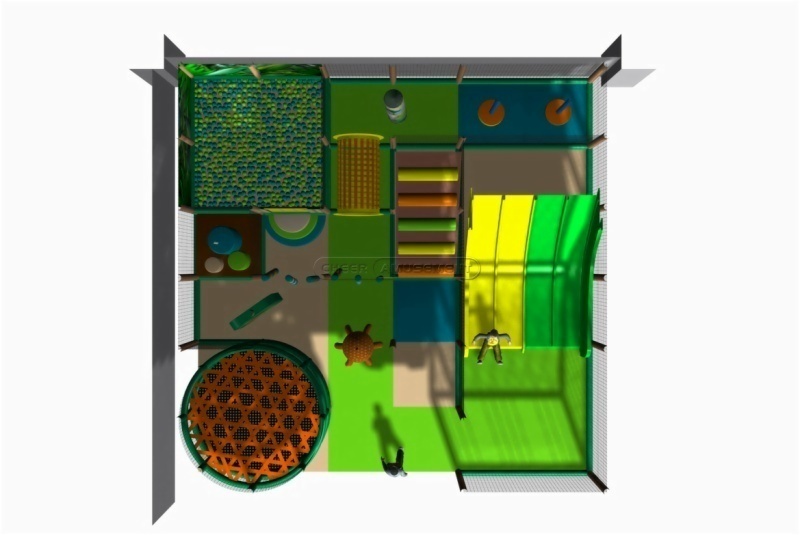 And this area can satisfy 100 children with activities also does not appear crowded, children can invite partners play together, increase the kid's interaction and communication skills for children to provide more fun. 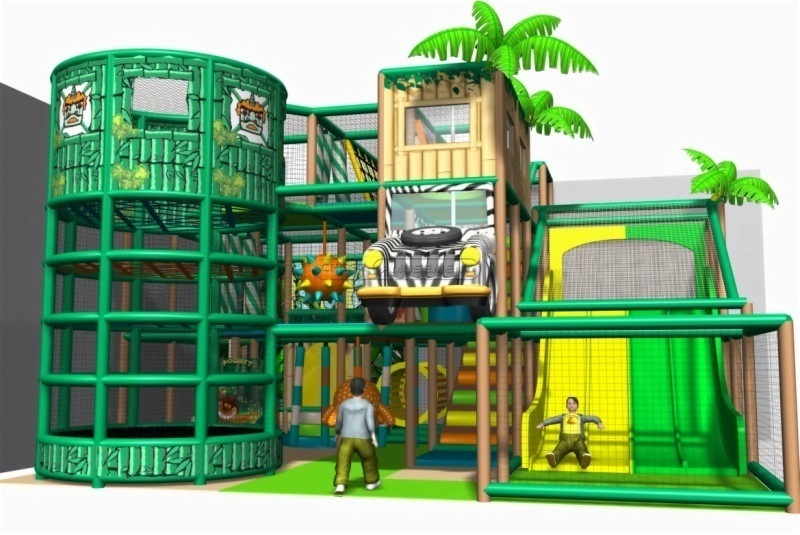 The amusement area most major characteristic is space diversity and structural complexity, about 127square meters area can appear some children to get in, rich and colorful equipment are more likely to bring many eyes.The Jungle Themed seems like to close to the nature,and the big field can satisfy lots of children adventure .As for the dealer, the product is more potential customers, the market space is large. 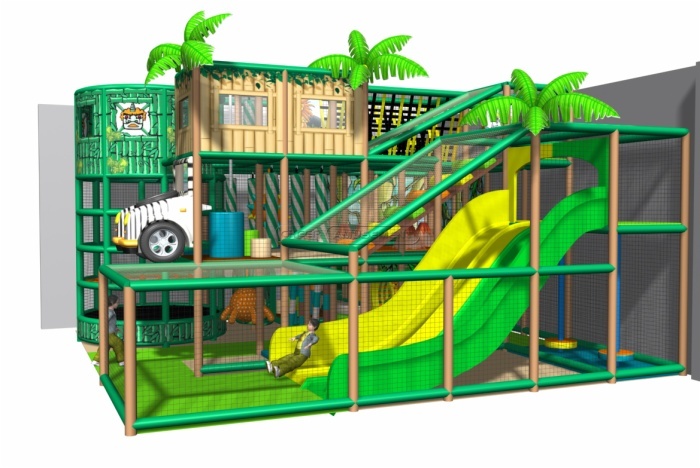 This product subject is the software, the products are smooth, material are superior, part of the imported materials, all of the edge, Angle, edges have been grinding processing, and outside with the software products to do the second packing, greatly enhance the Safety of products, the main raw materials have Galvanized pipe, PVC foam, PE Netting, EVA mat (no smell) and etc. 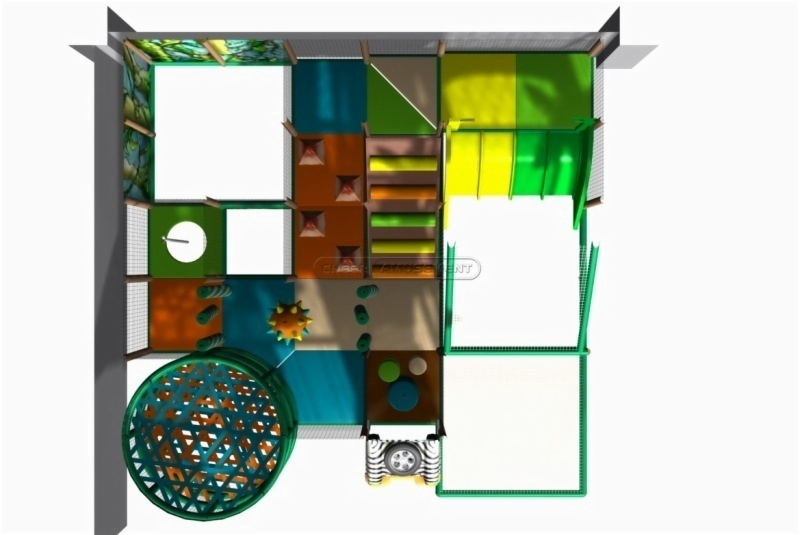 In use process don't and solid substances collision, don't use a sharp tool and so on items intentionally destroy.